Spring riding and racing is just around the corner and athletes everywhere are starting to think about their “A” races as well as secondary races to use for training and motivation. A given rule of thumb is that all races provide experience, training benefits, and act as a stage to assess your form. Because of that, targeting a handful of high and low priority races and events throughout the year can be useful as learning experiences and opportunities to dial in nutritional needs and race strategies. The question for many is, where to start? Use your 2015 cycling goals as your compass. We talk more about goals in our blog post, but the basic take away is to make your goals SMART. As in, specific, measurable, attainable, realistic and time-bound. With that being said, you need to pick the right events during the cycling season to help you best achieve those goals. Notably, not all events are equal. Some are harder than others. One approach is to use different course profiles, distances, and bike part options to mindfully select A, B, and C type races according to your training plans and race goals. Keep this simple reminder in mind – when you’re working toward a goal that’s important to you, the last thing you want is to face an obstacle or unexpected challenge. A successful season starts off right by planning ahead, getting your mountain bike in order, as well as, getting the gear and cycling accessories you need. Now, which races will you do? There are many tours, races, and events to choose from in Colorado. While this isn’t a comprehensive list, following are some of our upcoming favorite events at BikeParts.com. Rocky Mountain Endurance Series – Colorado. 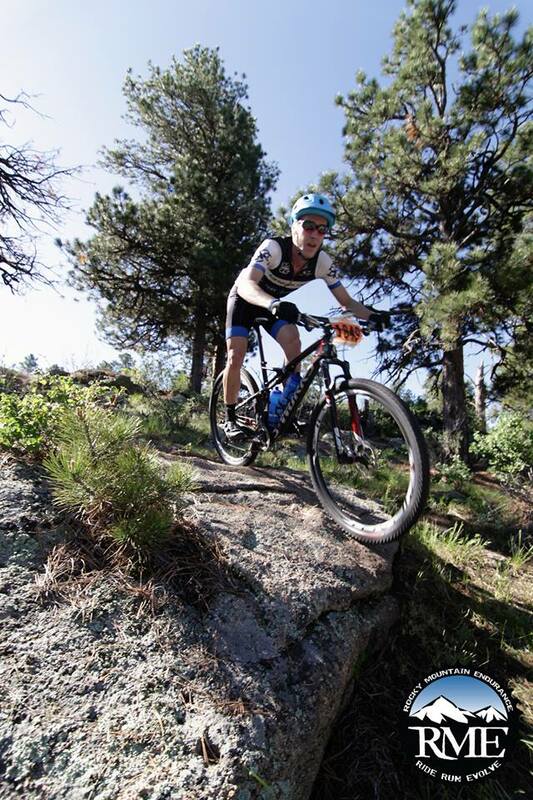 This race series offers the best variety of mountain bike racing in Colorado. Great for beginners to experienced racers including different distances. The series begins kicks off in late April with the Ridgeline Rampage. Visit their site for registration and series information and check out our Sneak Peak to the RME Series. MTB radio – endurance calendar. For those that enjoy epic, longer mountain bike events. Check out the MTB radio endurance calendar. Following are a few of the fun event on tap through May. Planning your 2015 cycling season is a multi step process: Identify your cycling goals, dial in your bike, and select the events you are enthusiastic in participating. If you’re left questioning how to roll out your pre season training plan, well then, we’ve got you covered on that too. Check out our previous guides to get you training started or vista us at Peak Cycles Bicycle Shop. Boom! The 2013 Peak Cycles Race Season if Off! What does the Ridgeline Rampage, Battle of the Bear, Eagle 40, and 12 Hours of Mesa Verde all have in common? Sure, they are all mountain bike races but they are also all races in which the Peak Cycles Race Team have all raced AND celebrated their success on the podium! Congrats to all of our racers! At BikeParts.com, we do all we can to support our competitive and non completive athletes. And while our racers can tell you, racing takes its toll on themselves as athletes, but also on their bikes. The season is in full swing and most venturing into the shop want to know how to ride faster, ride easier, and what they need to do either get their bike parts in order or keep them well maintained. So, what can we learn from our podium finishers that the rest of us can use to better our cycling season? For starters, they start their races with a clean and lubricated chain. They make sure to lubricate the moving parts of brakes and derailleurs. Their brake pads are in good shape and tires have the appropriate air pressure. And, most importantly, after they race, they inspect their bike and replace damaged bike parts. What other things can we learn from our top racers? Find out for yourself! Stop by the Peak Cycles Bike Shop for the shop ride in Golden, Colorado, follow us on Twitter, or catch up on Colorado racing in our recent blog posts. 2013 Colorado Road Racing Calendar: Which Ones Will You Do? What’s next? Look for Taylor J Schmidt, Weston Burcar, Dan Dwyer and Joshua Murdock at this weekend’s RME Indian Creek race. Cheer them on, or better yet, get out there and race! A favorite to endurance mountain bike cyclist in Colorado and the surrounding areas is the Rocky Mountain Endurance Series, aka RME. A race series consisting of 6 races, the Ridgeline Rampage, Battle the Bear, PV Cycle Derby, Snake River, Indian Creek, and Breckenridge 100, offers new and experienced racers a fun race series spanning from late April to mid July. Peak Cycles Race Team members have raced this series in the past. Here is a sneak peak as to what to expect from the series. The race venues are mostly local to the Front Range. The trails are accessible to all skill levels. The series offers a range of races: cross country, half marathon, and marathon. Each race venue offers a diversity of terrain. It’s fun to get to go to different places around the state. Compared to other big races, the series is cost effective. Pre-Race organization is well done. Race starts go off on time. Due to overlapping start/ finish of different disciplines, there can be some overlap on the course with different groups going off. For instance, faster cross country racers starting as marathon racers are finishing or overlapping age groups in the same discipline. Unfortunately, as in all racing, there are some inconsiderate racers. From years past, it appears the race promoters focus results on the pros and the men’s field and not those of the age groups. There is a tendency for the aid stations to close down while slower riders are out there on the course. For faster but maybe not quite as comfortable riding, one option is a hard tail Stump Jumper or Giant XTC Composite hard tail. If you don’t mind a little extra weight but want a more comfortable ride, the Epic Carbon Expert is a good choice or the Giant Anthem. Both are full suspension bikes. 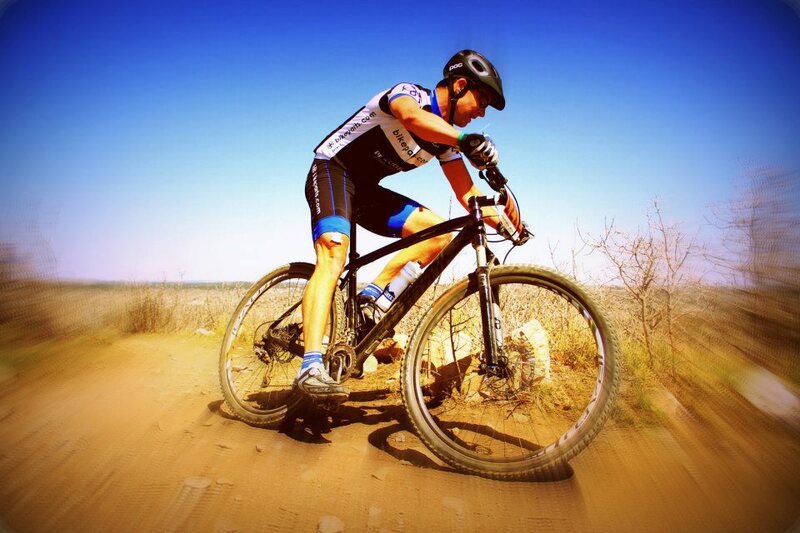 Whether you go the hard tail option or with a full suspension bike, having the right bike parts and mtb parts is going to make a difference over the long haul in terms of performance and comfort. Because these are lap races, there are a few bike components you will want to have on hand. Some like to race on bottles while others prefer a hydration pack. If you are new to racing or don’t plan to pre-ride the race course, a hydration pack is your best bet. It allows you to focus on the trail without concern as to trail conditions and timing when to drink. Also, you have the option to refill as you pass through on your remaining laps. Keep in mind, these races are going to take some time – as in, a few hours. Comfort is a consideration. Consider good grips like those made by ESI or Ergon and new, good fitting shoes to avoid hot spots. What other things might you keep in mind? Basic necessities. Make sure you have a good helmet, confirm your bike is tuned up, have on hand plenty of C02 cartridges, and tool kit. Other than that, you are good to go! Online registration for the series opens March 1, 2013. See you there! Team BikeParts.com had a great showing last week at the Denver Battle the Bear montain bike race with team members competing in the expert, pro, semi-pro and 50 mile events. More pics and info to follow.